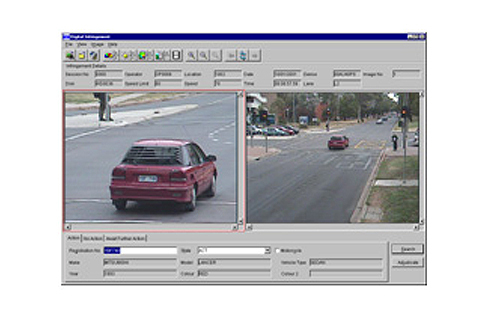 Video Management System is a highly efficient traffic monitoring system designed to keep traffic flowing smoothly. Through hi-speed data capture, analysis and interpretation, congestion is averted. By maintaining traffic density at the optimal level, road capacity is fully utilised. Real time image processing by video detection helps in analysis and implementation of optimum signal durations. Predictive analysis also helps in smoothening traffic flows. The system adapts maximum speed to current traffic and weather situation and can warn approaching traffic about queues. Radar detection is an extremely effective way of monitoring vehicles in motion within a specific area. Parked vehicles and pedestrians at the crossings can be spotted with infrared sensors. A combination of all the above mentioned technologies is used for accurate detection and management of traffic incidents in cities. Controls and supervises a variety of traffic signals as well as Variable Message Signs (VMS). The system collects and stores traffic data and makes it available for analysis later. The system is easy to use, quick and simple to install and low on maintenance. Designed to minimize accident risks by: monitoring the traffic flow, automatically closing lanes, reducing speed and re-routing traffic as per need. Ensures smooth and continuous flow of traffic, thus avoiding traffic congestion even with ever-increasing traffic volumes.